Employment law is a wide legal area that covers all aspects of hiring, training, maintaining and terminating members of an employer’s workforce. All levels of government are allowed to establish legal requirements, but most employers will deal primarily with the state and federal government statutes and administrative rules. Compliance with most of these rules and laws are of a clerical nature and tend to be systematic in application. However, workers compensation claims and discrimination claims often require the advice of an experienced employment lawyer who can assess a legal situation and offer a solution. All states are required by the federal government to maintain a workers compensation system that serves as an official arbitrator for workplace injury claims. Sometimes these claims are problematic for employers and employees alike, especially when the validity of the injury occurring at work is contested. All employees who are legally employed are covered when an injury occurs whiles discharging job responsibilities. However, both the employer and insurance provider also have legal input and have a right to investigate the claim, and many times the workers compensation insurance company contests a claim even when the employer acknowledges the injury. The program is designed to allow the employer protection from being sued for personal injury while allowing the injured worker to begin receiving benefits as soon as possible and maintain employment. This can be important when the employee is badly injured, but it is not uncommon for employers to have legal counsel as well as the plaintiff in some cases. Discrimination is a civil claim based on the illegal action of the employer. Most discrimination cases will be based on the Federal Equal Employment Opportunities Act or the Americans with Disabilities Act and their state law equivalents. These cases are always complicated and should never be handled solely by the employer. If an employee has legal representation, the employer will need the same protection. 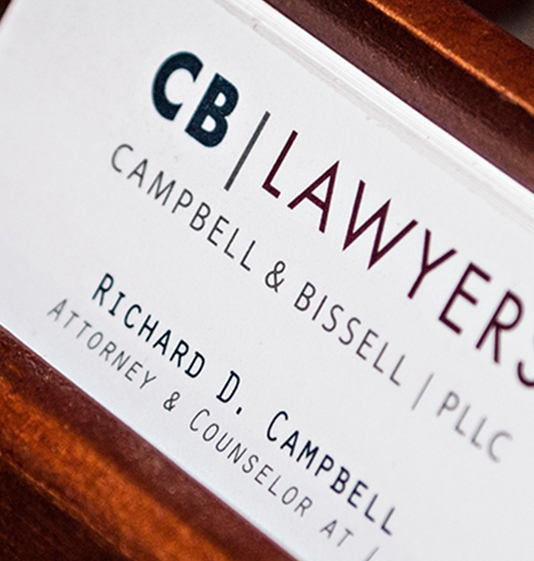 At Campbell & Bissell we have helped countless clients through difficult employment law battles. Discrimination claims can easily occur when an employer does not have established company policies or even policies which are very outdated. Our foremost goal is to assist employers by drafting or updating employment policies and handbooks which comply with federal and state law. If a complaint is made however, Campbell & Bissell can help clients to settle the matter before it gets to court and if a case does go to court you can rest assured our experienced litigators will handle your case with efficiency and tenacity.